If you go to Blk 16 Bedok South Hawker Centre at the wrong time, there are queues everywhere. Then if you go on a Monday for lunch, a lot of stalls are closed, especially those ones that are popular (Hill Street Char Kway Teow for example). So we went at 12:30pm on a Monday for lunch. It was crowded! After walking around a bit, I decided a shorter queue to put stuff in my belly was the best bet. So I went with Song Luck Fishball Noodles. You don’t notice them really, because they are right next to Hill Street Char Kway Teow, towards the toilet end. So when you enter the food court, they are really hidden. 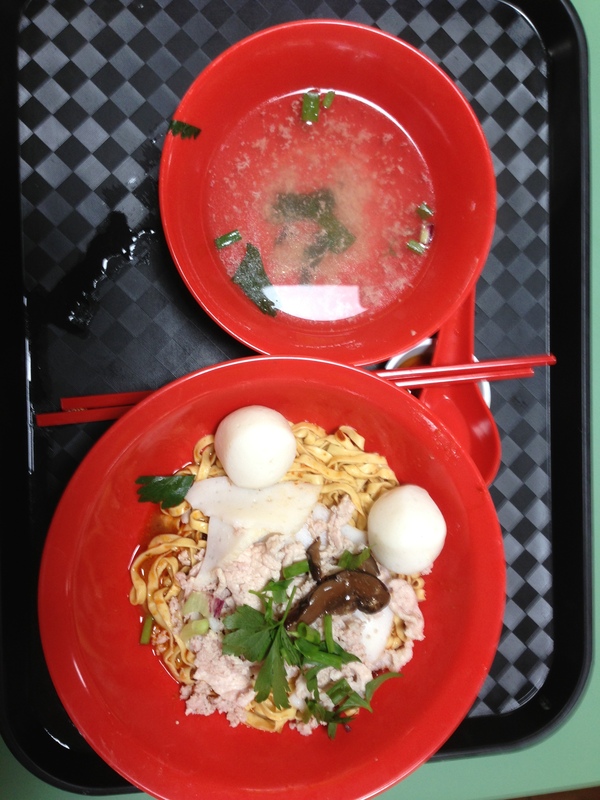 They have a dish called Mushroom Fishball Minced Meat Noodles. Really a combination of everything altogether that you can find in a hawker food dish! Nicely done, the ability to put minced meat in means less fishballs, but overall for $3, it’s not a bad deal and taste is ok. 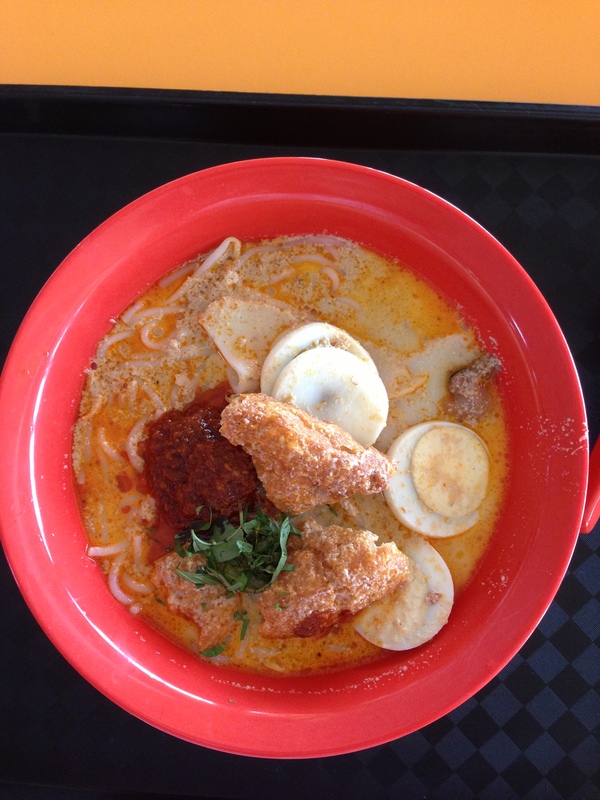 The next visit was on Feb. 15, and this time I went to try the Laksa. It was normal, routine, nothing special. $3 to fill your stomach. 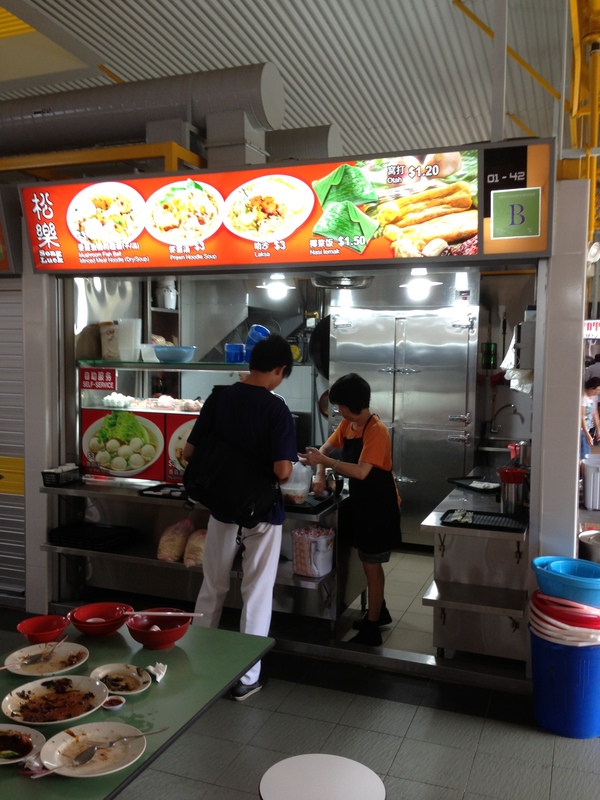 Posted in Bak Chor Mee, Fish Ball Noodles, LaksaTagged Fishball NoodlesBookmark the permalink.